UNMATCHED ELECTRIC UTILITY AND PERFORMANCE. 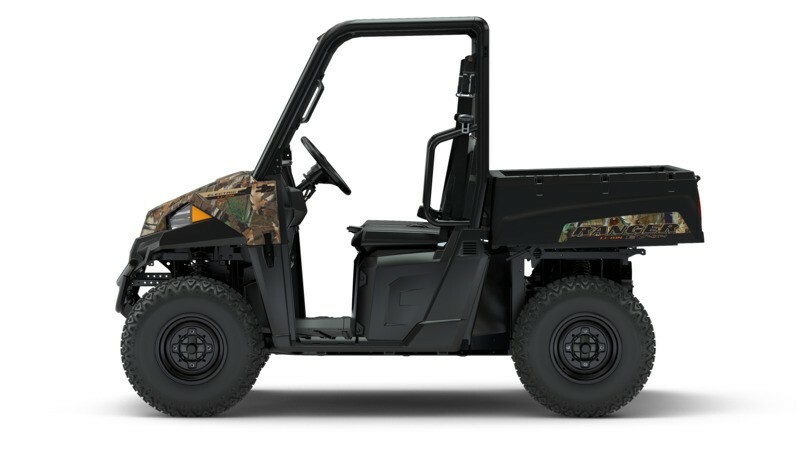 The Ranger® EV Li-Ion is the industry's first off-road utility vehicle powered by Lithium-Ion technology. This pure electric machine is the epitome of clean, quiet, efficient power with unmatched range, quick acceleration, and smooth off-road performance. COMFORTABLE RIDE & HANDLING: Designed for all-day riding comfort. The lightweight, nimble Ranger EV Li-Ion is designed for all-day off-road comfort, so you can ride longer and work harder. Bench seat cab comfort for 2. 9 in. up-front suspension travel and 9 in. independent rear suspension travel. 10 in. of ground clearance to navigate tough terrain. Customizable tilt steering wheel. Ideal seat height and wide foot clearance. Digital gauge with charge monitoring, analog speedometer, and multiple LCD indicators. 58 in. width to fit in most full-size pickup truck beds. 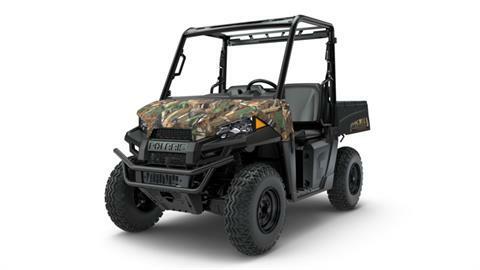 THE POLARIS ELECTRIC ADVANTAGE: 30 hp electric motor. The lightweight Ranger EV Li-Ion delivers quick acceleration along with the reliable power you need to get more done around your home and property. Clean, quiet, and efficient 30 HP/48EV electric motor. Up to 50 mile range so you can embark on every adventure with total confidence. 0-20 mph acceleration in less than 4 seconds. Can charge from any standard, 3-prong grounded 110V outlet so you ride is always ready when you are. 3-year, 5,000 mile factory battery warranty. HAUL MORE. WORK HARDER. GET MORE DONE: Class-leading payload and towing capacity. 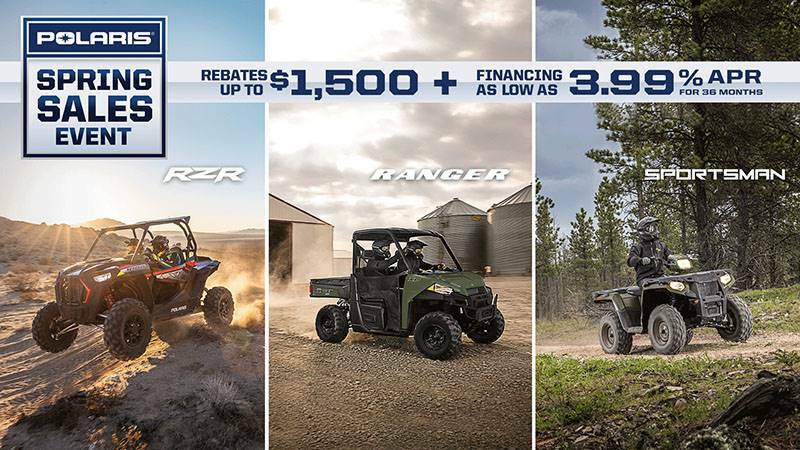 The Ranger EV Li-Ion’s payload and towing capacity will help you tackle the truly big jobs and get more done in fewer trips. Massive 1,500 lb. of towing capacity. 1,000 lb. of payload capacity. Standard 2 in. receiver hitch. Gas assist dump box with 500 lb. capacity. Convenient integrated storage options.